A Remembrance Tree will be placed in Saint Mary’s Church, Barndarrig for the month of November, the special month of prayer for the departed. You are invited to write a personal message of remembrance or simply the name of your loved one on the special memorial cards provided in the church and to place it on the Remembrance Tree. All Memorials will be displayed during the month of November and prayers will be said for the names of those on our Remembrance Tree. We ask that you to make a donation (of any amount); all donations will go towards parish funds. November is, traditionally, a month we set aside each year to remember our dead. The parish annual Commemoration Liturgy will be held in Saint Mary’s Church, Barndarrig at 8.00pm on Tuesday, November 21st. We will remember all of our deceased family members, friends and neighbors in a special service of prayers, readings and music. We will remember, in particular, all in our parish who passed away during the previous 12 months. A candle will be lit and will burn for each one of them. Family members are welcome to take this candle home afterwards. November is, traditionally, a month we set aside each year to remember our dead. The parish annual Commemoration Liturgy will be held in Saint Mary’s Church, Barndarrig at 8.00pm on Tuesday, November 22nd. We will remember all of our deceased family members, friends and neighbors in a special service of prayers, readings and music. We will remember, in particular, all in our parish who passed away during the previous 12 months. A candle will be lit and will burn for each one of them. Family members are welcome to take this candle home afterwards. Those who have lost a loved one at any time outside the past year are welcome to attend, and may place a special red remembrance candle (available in the Church) on the Altar during the Liturgy if they so desire in remembrance of their loved one(s). Presentation of the Lord - Thursday February 2nd or Candlemas Day. Candles (for church - Beeswax Alter Candles and home use) will be blessed at all the Masses in the parish on Thursday 2nd February. There has always been a great tradition of people donating candles for church use and candles can be left at the Sacristy prior to the 2nd February for blessing. If anyone would like candles blessed, for home use please mark these with your name and they can be collected any time after Candlemas Day. Many thanks to all those who organised, helped out, participated, donated to and attended the Parish Summer Festival 2016. It was a great event and well supported by the community. The names of the winners in the Monster Raffel have been posted on the church notice boards, our congratulations to all of them. Coppers for Kids St Mary's National School Barndarrig need your help!! We are having a mammoth coin collection to raise much needed funds for the school. We are asking the whole community to dig deep for the kids, dig under the sofa cushions, in your pockets, under the car seat and especially in that corner of the kitchen where everything ends up. We all have a stash of coppers that are too awkward to carry around so let us put them to good use. Collection jars will be placed in St. Mary's Church - Barndarrig, in Fleming’s Shop and of course in the school. Ecumenical Prayer Service in St. Kevin's Church Laragh. Please bring your own eats and drinks. Cars can be parked in the Church grounds in Rathdrum Church. A bus will be provided to ferry people back to the car park in Rathdrum after the event which will conclude at 7p.m. The cost of the bus €3.00. On behalf of our parish priests and community we wish all our young people the very best of luck in their exams, and would like to let you know that you will all be remembered in our prayers and Masses over the coming weeks. 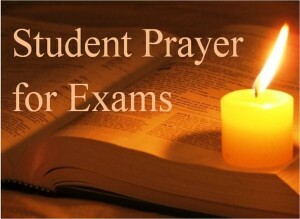 Student’s Prayer: Jesus, teacher and friend, be with me as I sit this exam. Give me a peaceful heart, a focused mind and a steady hand. Help me to remember what I have learned, to answer wisely and well, and to persevere when I am tired and weary. Help me to trust that you’re here with me. A gathering for students and parents of Junior and Leaving Cert Students. Music, prayer, reflection and support for students and parents followed by light refreshments. Please feel free to take a memorial card, write the name of your loved one or a personal message of remembrance and place it on the Memorial Jesse Tree. You are invited to make a donation (of any amount) in memory of your loved one perhaps someone who has died in your family, a friend or neighbour. All donations will go towards parish funds. The Memorials will be displayed on our tree during November and December and prayers will be said for the names of those on the Jesse Tree during the November, Advent and Christmas Season. Each Jesse Tree ornament usually consists of a handmade symbol or drawing that represents one of the major stories of the Old Testament. 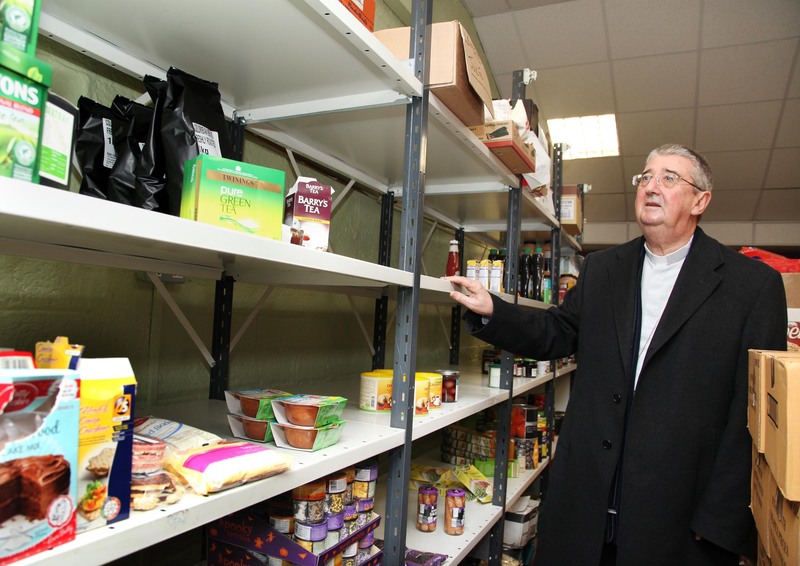 Donations of non-perishable food sought to restock food bank for those most need this Christmas and into 2015. Donation Boxes for Non-Perishable Food Items have been placed in the parish churches., Parishioners are invited to buy non-perishable food items and place them in the Boxes which have been provided in Kilbride, Barndarrig and Brittas Bay. Your generous support of this appeal is greatly appreciated. We would like to extend a sincere thank you for the show of support we received from all of you who turned out on the day and attended. 13-16 August 2015, Cistercian College, Roscrea, Co Tipperary. Ages 16- 35. This is a great opportunity to find out what your Catholic faith is all about in a friendly, chilled out atmosphere. Avoca Parish: Barniskey - Sunday 27th July at 3.00p.m. Castlemacadam - Sunday 3rd August at 7.00p.m. Ballycoogue - Sunday 10th August at 7.00p.m. 2015 Kilbride, Barndarrig & Brittas Bay Summer Festival The best way to start your summer on Sunday 12th July is the Parish Summer Festival opposite Brittas Bay Church and National School, gates open at 1.30pm. This very popular festival continues to be about traditional fun and games for all the family. There are Pony Rides, Dog Show, Bouncy Castles, Gig Rig, Tea by the Sea, BBQ, Duck Races and many more activities and stalls. Entries for the gymkhana, dog show and other competitions will be taken in the field on the day. Why not come along for a fun family day out. Tickets for the Annual Monster Raffle are on sale at all masses prior to the Summer Festival. Donations of Cakes and Home Produce and Bric-a-Brac can be given to any committee member. Your support is greatly appreciated. Easter Dues We would be grateful if parishioners would hand in their Easter Dues Envelopes over the Easter Season. The Easter Dues envelope is the Yellow envelope in the Monthly Family Envelope Donation Box, if you do not have an Easter Dues Envelope you may put your donation in a plain envelope and mark it Easter Dues. Easter Dues and Monthly Church Donation Envelopes can be placed on the Church Collection Basket or handed to Fr. Dempsey or Fr. Scully. Fr. Dempsey and Fr. Scully would like to wish all parishioners and their families a very Happy Easter. Saint Bridget's Cross is a small cross cruciform usually made from rushes or, less often, straw. It comprises a woven square in the centre and four radials tied at the ends. Legend tells us that one day, Bridget visited a pagan chieftain who was on his deathbed. As she sat by his bed, she reached down and picked up some rushes from the floor and wove them into a cross. The chieftain asked what she was doing and she told him about the significance of the Christain cross and how Jesus had died to save all people, including him. He was overcome by the idea that he could be loved so much and was converted to Christianity before he died. Often, a cross would be placed in the cow byre to protect the animals and to keep the milk flowing. It became, in some places, a symbol of peace and good will. We would like take this opportunity to wish all parishioners and their families a very Happy New Year 2015. "I had a dream, Joseph. I don't understand it, not really, but I think it was about a birthday celebration for our Son. I think that was what it was all about. The people had been preparing for it for about six weeks. They had decorated the house and bought new clothes. They'd gone shopping many times and bought elaborate gifts. It was peculiar, though, because the presents weren't for our Son! "They wrapped them in beautiful paper and tied them with lovely bows and stacked them under a tree. Yes, a tree, Joseph, right in their house. They'd decorated the tree also. The branches were full of glowing balls and sparkling ornaments. There was a figure on the top of the tree. It looked like an angel might look. "Oh, it was beautiful. Everyone was laughing and happy. They were all excited about the gifts. They gave the gifts to each other, Joseph, not to our Son. I don't think they even knew Him. They never mentioned His name. Doesn't it seem odd for people to go to all that trouble to celebrate someone's birthday if they don't know Him. I had the strangest feeling that, if our Son had gone to this celebration, He would have been intruding. "Everything was so beautiful, Joseph, and everyone so gay, but it made me want to cry. How sad for Jesus - not to be wanted at His own birthday party. I'm glad it was only a dream. How terrible, Joseph, if it had been real." A Remembrance Tree has been placed in both Saint Mary’s Church Barndarrig and Star of the Sea Church, Brittas Bay. You are invited to take a remembrance-heart from the basket beside the tree, make a donation, and write on it the name of someone you wish to pray for during the Advent and Christmas season; perhaps someone who has died in your family, a friend or neighbour at home or abroad, perhaps someone who is sick or someone away from home and family this Christmas. You can then place the name on the Remembrance Tree and we will hold all those people in our prayers throughout Advent and Christmas. 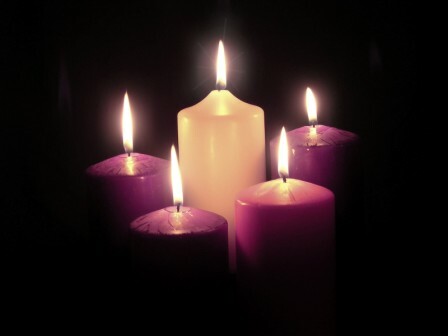 Advent is the first Season in the Church’s year. It is a beautiful time in which we remember many aspects of our faith. The word Advent derives from the Latin word meaning ‘Coming’. The Lord is coming. Our Parish Advent Celebration is to be held in Saint Bridget’s Church, Kilbride on the evening of Monday, December 8th (Feast of the Immaculate Conception) and will provide us with an opportunity to pause for a short break and take some time out of our busy Christmas schedules to enter into the wonder of this Season. 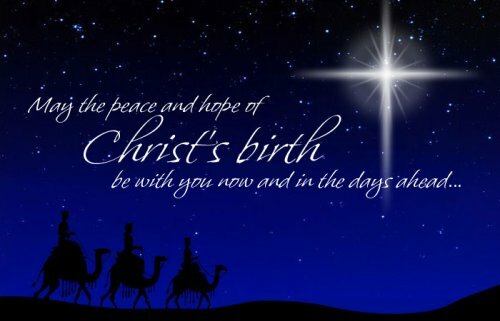 Our preparation for the celebration of the Birth of Jesus will be enriched by this time of reflection. The Celebration of the Immaculate Conception and Advent Celebration Service will consist of Mass, readings, reflection, carols and music with the participation of the Parish Choir. All parishioners are invited to attend this special candle lit event. November is, traditionally, a month we set aside each year to remember our dead. The parish annual Commemoration Liturgy will be held in Saint Mary’s Church, Barndarrig on Tuesday, November 25th at 8:00pm in which we will remember all of our deceased family members, friends and neighbours in a special service of prayers, readings and music. We will remember, in particular, all in our parish who passed away during the previous 12 months. A candle will be lit and will burn for each one of them. Family members are welcome to take this candle home afterwards. November is the month of the Holy Souls, when we pray in a special way for our loved ones who have died. We remember all those on our Parish List of the Dead on the Feast of All Souls and also on each First Friday during the year. The parish is compiling the Altar list of the dead for the year ahead so if you wish to have your loved ones names inscribed (not necessarily people from the parish) on the list you will find an Altar List of the Dead sheet in your box of envelopes. Once you have completed the sheet you should place your list of the Dead in the Purple Envelope provided and return it on any of the collection plates at Mass or return it directly to Fr. Dempsey or Fr. Scully. If you do not have an Alter List of the Dead form, but would like to include your loved ones names on the List for 2015, Dead Lists are currently available in all of the churches or alternatively please contact either of the priests in the parish directly. Please try to send in your envelope with your List of the Dead before the end of November. The priests of the parish would appreciate your donations of Harvest/Autumn Dues at this time. Please put your contribution in the coloured envelope marked Autumn Dues from the Parish envelope box and return it on the collection plate at any of the masses. If you are not using the Parish envelopes, please put your contribution in an ordinary envelope, with your name and address, and mark it DUES. Our sincere thanks to all who have returned their Harvest/Autumn Dues contributions, your support is greatly appreciated. The Parish Priests and Finance Committee would like to thank all those who supported the recent 2014 Summer Festival. in The Bobbio Centre Magheramore Convent, Wicklow on Wednesday 30th July 2014 at 7.30pm – 9.30pm approx RSVP: Ellen (087) 9141619 or Elizabeth (086) 8576087 TRANSPORT AVAILABLE ON REQUEST. Cemetery Mass & Blessing of the Graves 2014. Barniskey - Sunday 27th July at 3.00p.m. Rathnew - Wednesday 16th July at 7.30pm. Killoughter - Tuesday 23 July at 7:30 p.m. The Parish Summer Festival will take place on 20th July 2014 in Brittas Bay, all proceeds go to the upkeep of the parish. Tickets for the Monster Raffle are on sale at all Masses preceding the Summer Festival and from committee members. Please support this fantastic family fun day out. Sunday 22nd June at 4pm in Rathnew. This year will see the celebration of the 100th Anniversary of the annual Corpus Christi Procession in Rathnew, and the community is delighted to welcome Archbishop Diarmuid Martin to celebrate the anniversary with them. All parishioners both local and in surrounding parishes are invited to come along and celebrate the feast of Corpus Christi and the Procession, you would all be very welcome. Thank you to all parishioners who have already returned their Easter Dues, if you have yet to hand in your Donation/Dues Easter Envelope we would be very grateful if you would do this over the coming days. Thanks to all who supported the Epilepsy Collection so generously last weekend. A sum of €389.60 was raised and this amount has been lodged to Epilepsy Ireland Account in the A.I.B. Bank. We wish you a Wonder-filled Christmas and every blessing as we welcome the Christ-Child into our hearts and into our homes. We think not only of those who live within our parish but also family members who may be elsewhere and especially those who may be abroad or in hospital at this special time of year. We pray that the presence of the Christ-Child will grace your homes during this Christmas season and throughout the coming year and give you his peace and joy. We would be grateful for your offerings of Christmas Dues at this time. Should you wish to contribute please make your contribution using the Christmas Dues Offerings Envelope or by using a plain envelope clearly marked “Christmas Dues”. We appreciate your on-going support. Saint Marys National School, Barndarris is holding it's first Children’s Christmas Craft Fair on Friday 13th December at 11.30am. All children are asked to bring in a toy that is either barely used or brand new. Also, if any parents have a gift to donate to the rafflethe school would be very happy to accept! Gifts must be brought in to the school by Friday, December 6th or at very latest first thing Monday morning (December 9th). You are sincerely thanked in advance for your support but also to reminded to please get your baking hats on and the wooden spoons out as the is a great need for fresh cakes & buns etc. for the stalls. ( Nov 2013) ST VINCENT de PAUL - Christmas Cabaret, Wicklow Conference, present their 28th Christmas Cabaret in the Grand Hotel on Sun 8th Dec at 8pm sharp. Admission €10, OAP €5. Tickets on sale at Earls Newsagents. Free prize of Turkey for raffle on your door ticket. December St. Bridget’s Church Kilbride at 4pm. Why not take some time out from your busy Christmas schedule to relax, unwind and enjoy an afternoon of prayer and song. (Nov 2013) Annual Commemoration Liturgy – the parish annual Commemoration Liturgy will be held on Tuesday 26th November at 8.00pm in the Star of the Sea Church, Brittas Bay. The Commemoration Liturgy is a special service of prayers and readings in memory of those who have died over the past 12 months together with all our deceased relatives and friends. Those who have lost a loved one at any time outside the past year are welcome to attend, and may place a remembrance candle (available in the Church) on the Altar during the Liturgy if they so desire. (Oct 2013) November is the month of the Holy Souls, when we pray in a special way for our loved ones who have died. We remember all those on our Parish List of the Dead on the Feast of All Souls and also on each First Friday during the year. The parish is compiling the Altar list of the dead for the year ahead so if you wish to have your loved ones names inscribed (not necessarily people from the parish) on the list you will find an Altar List of the Dead sheet in your box of envelopes. Once you have completed the sheet you should place your list of the Dead in the Purple Envelope provided and return it on any of the collection plates at Mass or return it directly to Fr. Dempsey or Fr. Scully. If you do not have an Alter List of the Dead form, but would like to include your loved ones names on the List for 2014, Dead Lists are currently available in all of the churches or alternatively please contact either of the priests in the parish directly.Please try to send in your envelope with your List of the Dead before the end of November. (Nov 2013) St. Mary’s National School are having a Table Quiz in aid of the school. Fund raising is a vital part of the schools activities and all funds raised will directly benefit the children attending the school's education. Your support would be appreciated you can do this by booking a table (€20 – 4 persons) invite your friends, relations, in-laws, outlaws and anybody else that we have overlooked. This promises to be a fun night – looking forward to seeing you there. (Oct 2013) The 2nd Annual Road Race/Walk through Kilmacurragh in aid of the Barndarrig GAA Clubs will take place on 19th October at 2.30pm. Everyone is welcome to limber up for this fun event. Entry Fee - Adults €10 and Children €5. Sponsor Cards are available from the parish schools and from club committee members. Anybody handing in a completed sponsor card will qualify for free entry in the Race. We look forward to seeing you on the day. (Sept 2013) The Parish Mission will take place from Sunday 13th to Friday 18th October 2013. Fr. Dempsey and Fr. Scully would like to invite you to come and take part in the Mission being held in our Parish. We wish to take this opportunity to extend a warm welcome Fr. Tom Hogan who is coming to help us in the task of reflecting on the word of God, building up our Community and making our Parish a better place to live. Sunday 13th October - Opening of Mission - 7.00pm. Jesus said ask and you shall receive. Prayers and Petitions will be offered for our spiritual and physical healing. This devotion is modelled on the ceremonies at Lourdes. 8.00 pm Who understands me? a friend that can understand me as I am. Evening Mission Monday and Tuesday 8.00pm. 8.00pm Renewing Our Love Commitment. All those in loving relationships are welcome to renew their love for each other. Through the Sacrament of Reconciliation we experience the mercy and peace of Christ. 8.00pm Remembrance. Of the faithful departed. (Oct 2013) Barndarrig Ploughing Championship – The annual Barndarrig ploughing match will be held on Saturday, October 5th at Crannagh, Redcross by kind permission of Mr James Doyle commencing at 11am. For those wishing to come along and support their local ploughman/woman the field is at the opposite side of the N11 from Jack Whites. Why not bring the family and a picnic and have a really fun day out. Children and adults alike will have a great interest in the various types of machinery on display. Brochures to all homes in the parish prior to the 2013 Parish Mission. If you have some free time and you would like to volunteer to deliver the Brochures in your area or if you or require further information, please contact Ellen Nolan, any member of the Pastoral Committee or e-mail your details to bbkparish@gmail.com and we will get in touch with you shortly. (Sept 2013) Harvest/Autumn Dues: The priests of the parish would appreciate your donations of Harvest/Autumn Dues at this time. Please put your contribution in the coloured envelope marked Autumn Dues from the Parish envelope box and return it on the collection plate at any of the masses. If you are not using the Parish envelopes, please put your contribution in an ordinary envelope, with your name and address, and mark it DUES. Our sincere thanks to all who have returned their Harvest/Autumn Dues contributions, your support is greatly appreciated. The programme runs for children from 1st class to 6th class and includes preparation for the sacraments of First Holy Communion and Confirmation. (Sept 2013) Fr. Anthony Scully, will be moving from North William Street Parish, Dublin to take up his new appointment as curate in Kilbride, Barndarrig and Brittas Bay Parish on 21st September 2013. We look forward to welcoming Fr. Scully and know his gifts and talents will enrich the life of our parish. Fr. David Fleming is leaving the parish. We wish Fr. Fleming every blessing and happiness in his new appointment in Crumlin.